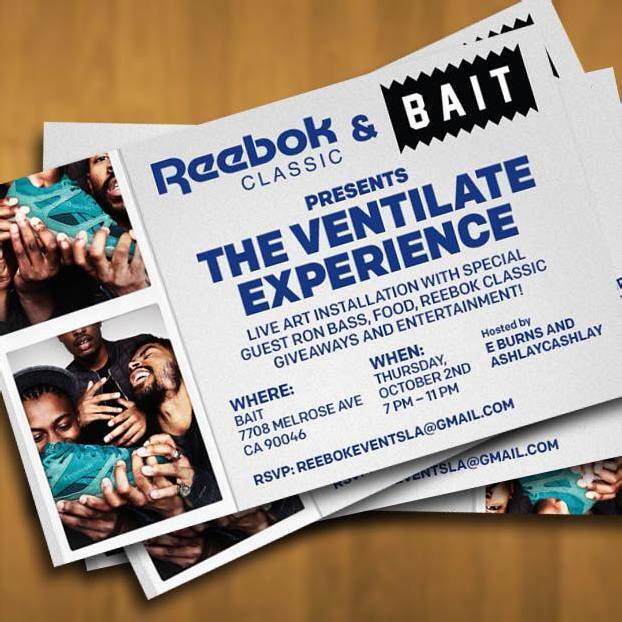 Reebok Classics and BAIT present The Ventilate Experience, a live art installation with special guest Ron Bass, food, giveaways and entertainment! The event takes place Thursday, October 2 at BAIT LA from 7 PM PST – 11 PM PST. The event is open to the public, but be sure to RSVP to ReebokEventsLA@gmail.com!